CSSC Carnival Cruise Shipping Limited announced an agreement to purchase two existing ships from Carnival Corporation's Costa Group, the leading cruise operator in Europe and Asia. The first of these ships, the 85,861-ton, 2,210-passenger Costa Atlantica, is scheduled to be transferred to the new Chinese cruise line by the end of 2019. Costa Atlantica's sister ship, the 2,114-passenger Costa Mediterranea, will be transferred at a date still to be announced. "The official launch of our cruise joint venture in China is a significant milestone in the strategic development of a strong and sustainable cruise industry in China," said Arnold Donald, CEO of Carnival Corporation. "Together with our partners, we are excited about our ability to launch a new cruise line in China based on existing ships and new China-built cruise ships tailored for Chinese travelers." 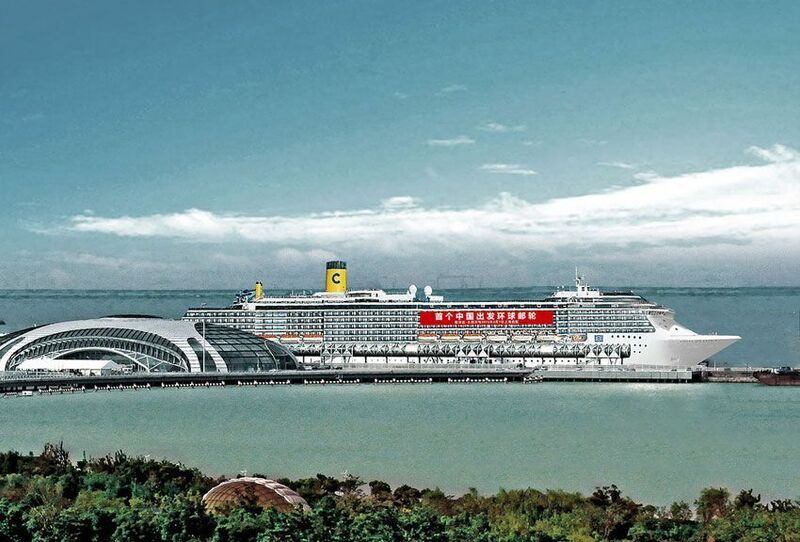 "The new cruise joint venture complements our existing presence in the market and strengthens our commitment to help China build a holistic ecosystem and become a leading global cruise market," added Michael Thamm, group CEO, Costa Group and Carnival Asia. "We look forward to working with CSSC to further increase demand for cruising by generating broad awareness of why going on a cruise is an extraordinary holiday and exceptional value." "It is a strategic decision for CSSC to enter into the cruise industry in partnership with Carnival Corporation and Fincantieri," said Lei Fanpei, chairman of CSSC. "Through the partnership with leading international enterprises, we will build a whole industrial chain including the cruise ship design and building, operations and supply chain, jointly promote industrial environment improvements and create an ecosystem that will nurture the sustainable growth of the cruise industry. Our cooperation continues to receive great support from the Chinese government at both the central and local levels. We wish to continue our win-win partnership from today on, to ensure the delivery of the first large cruise ship to be built in China by 2023." Giuseppe Bono, CEO of Fincantieri, said: "This achievement with our strategic partners at Carnival Corporation and CSSC represents the hard work, determination and vision of our teams to continue developing the cruise industry for the benefit of Chinese travelers and capitalize on the enormous potential of the market." Bono added: "China represents a tremendous opportunity for the entire cruise industry, and we look forward to working together with our partners to leverage our collective expertise and leadership in the cruise sector to support China's goal of developing its cruise shipbuilding capabilities and becoming a leading global cruise market." These agreements were signed on behalf of CSSC Carnival Cruise Shipping Limited by Costa Group's Michael Thamm and Yang Jincheng, president of CSSC, at a signing ceremony held today at the China International Import Expo (CIIE) in Shanghai. Also in attendance were Carnival Corporation CEO Arnold Donald and Chairman Lei Fanpei of CSSC, among other important representatives. CSSC Carnival Cruise Shipping Limited also supports China's larger efforts to prioritize cruise industry growth in its five-year economic development plan. As the world's top outbound tourism market, China's 142 million outbound travelers spent an estimated $258 billion traveling abroad in 2017, according to the United Nations World Tourism Organization (UNWTO). By comparison, the Chinese cruise industry served only about 2.5 million cruise passengers last year, representing less than two percent of China's outbound global travelers.